Terry Treble Music Adventures: A charming series of children’s books featuring Terry Treble of MusicLearningCommunity.com. 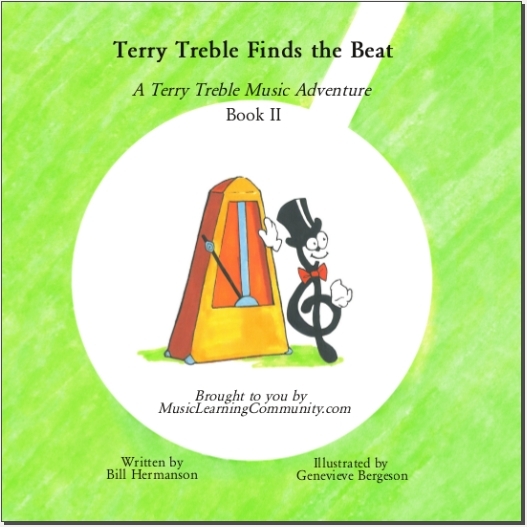 Join Terry and pals as they play and learn basic music concepts! 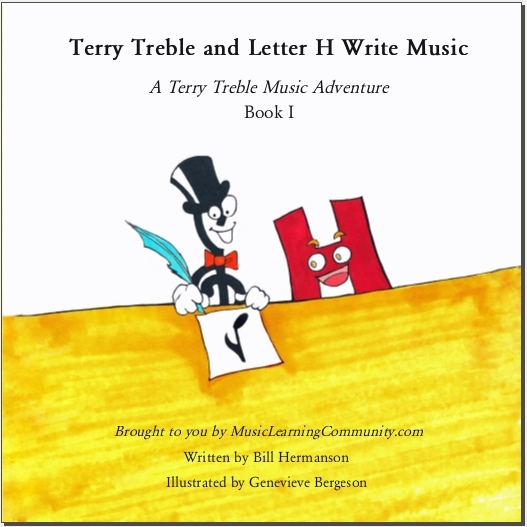 Terry Treble and Letter H Write Music. Determined to find a way to save music so people can play the same music again and again, Terry and his friends experiment: How can you write musical notes on paper? Terry Treble Finds the Beat. Once Terry and his friends develop a way to write musical notes, new questions arise: How can you show how long a note should sound? Can music keep time? Note: If you wish to pay with a credit card, you will need to use the order form. If you wish to pay with a check, you can purchase either through MLC or me. 1. To capture the spark of childhood discovery, for instance, by making the illustrations look like a child could have done it (bright colors, outlines, and the cartoon style). Look well–you might find some surprises! 2. 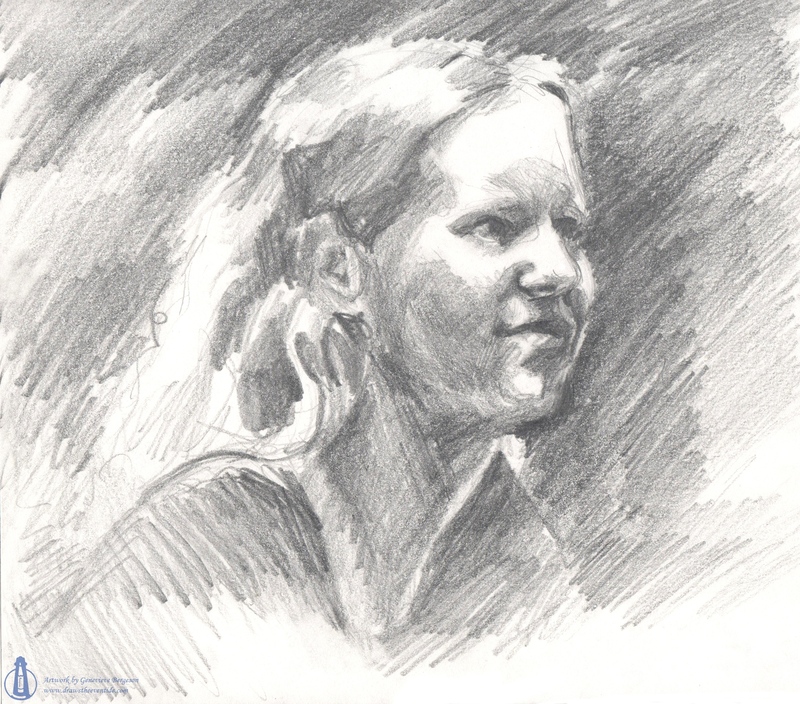 To design and portray two-dimensional characters that could interact in a three-dimensional world, like a playground, and portray figures on a two-dimensional plane, such as a sheet of music. And to have a little fun, of course.